SeaSnax is an award winning premium roasted seaweed snack for the entire family, We begin with sustainably-grown organic seaweed and roast it to perfection with just a touch of organic extra virgin olive oil, organic chipotle and a pinch of sea salt. 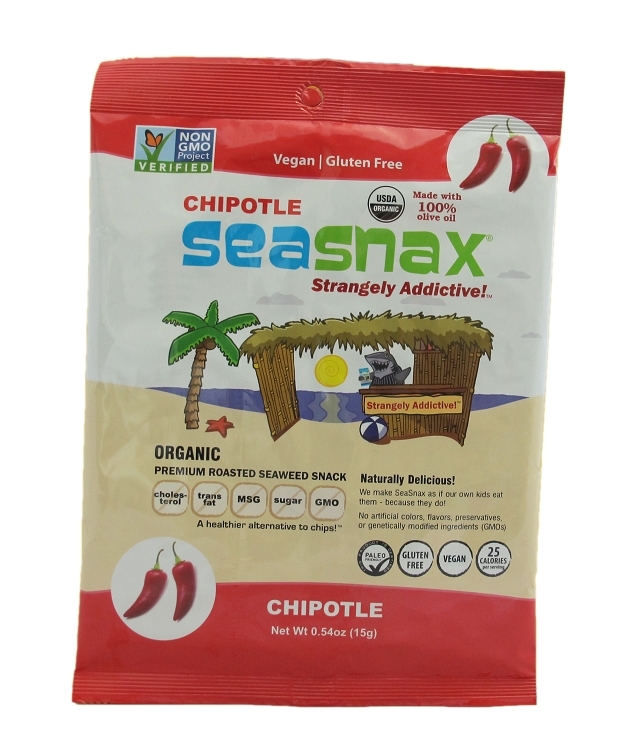 The SeaSnax Chipotle Single pack includes 5 sheets of roasted seaweed - rip'em up and chomp'em down! Or if you like them in neat small squares, take an unopened package and fold the whole package in half, pressing down on the fold, and then half again. Open the bag, and you are set to eat! Can't finish it all? Put them in a sealed ziploc or container and throw it in the fridge!